An intensely personal record, and in the live setting, Alejandro lays it all on the line. Recorded from Seattle to Paris (France--not Texas). Unlike most live records, the sound is superlative, and focuses on his Orchestra manifestation (which means you've got stirring cellos bumping elbows with big, meaty guitars). This album is perfectly suited to sipping whiskey alone while quietly cataloging your life's worth of regrets, shortcomings, and failures. It is an intensely personal record, and in the live setting, he lays it all on the line. Don't get us wrong, though, Alejandro can rock if he needs to--one need look no further than the walloping covers of the Stooges "I Wanna Be Your Dog" or the Stones' "Sway" for proof. How many bands would dare perform The Stooges' slop-rock masterpiece "I Wanna Be Your Dog" as a string-annexed chamber-rock sextet? This is beautiful, wonderful stuff. It's a melancholic, often brutal album of hard truths, grim realities, and broken hearts, with performances suited perfectly for the pain and torment of the lyrics and Escovedo's raw, forthright vocals. Most of the songs here have been stripped to the bone, then re-dressed with orchestral flourishes that are alternately beautiful and harrowing. After listening to the album in its entirety, one comes away with the sense of having listened to a man who would put his life on the line for his art. No matter what he sings about--pain, redemption, or glory--Escovedo conveys a feeling of hard-won optimism and romance. The first part of the record is like lying naked on the bed at a hotel; "I Wanna Be Your Dog" is the maid opening the door and seeing you there--finally. To celebrate our 15th Anniversary (2009), we re-released this seminal album in a special new way. Originally released in 2001, this album stands as one of cornerstone achievements of a singer and songwriter not lacking in achievements. 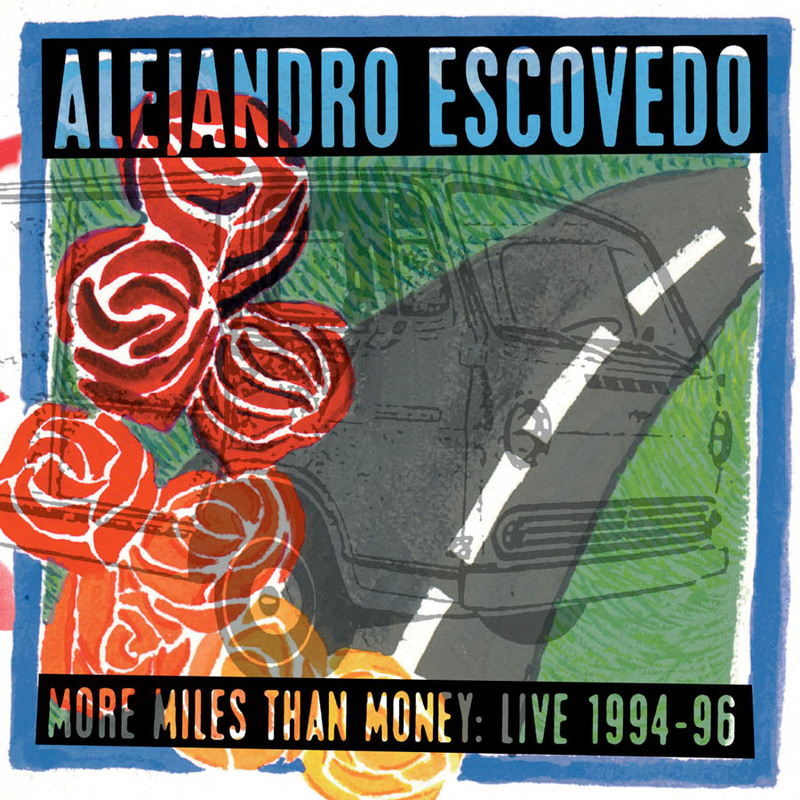 On his scorching, cinematic new concept album ‘The Crossing’, Alejandro Escovedo tells the story of two young immigrants – Salvo from Italy, and Diego from Mexico – working in a Texas restaurant in pursuit of the American dream. Intimate and personal, a perfect blend of orchestral sweep and glam rock swagger. A true masterpiece. Alejandro and his "classical glam" Orchestra at their finest: off the cuff, loose and tight. A sonic scrapbook of that day, representing all the performers in the order they performed. 19 tracks and almost 70 minutes of highly polished and professional musicianship (ahem), mixed into the red, sho'nuff. Clarifies what fans have long known, that there is more to the band’s enduring appeal than riffs and volume, there is the strength of, and in, their songwriting and stories. All motorcycle boots and sneers, they rode a squall of throat-grabbing feedback and Stonesy musical middle fingers. They were as much Thunders and Reed as anything country. Get down with the Rockets on these 28 tracks, including some Neil Young and Crazy Horse action at the end. Some of the finest live performances from our DVD in the digital format for your convenience. 103 Degrees in June documents one of those nights when the music takes over, when the crowd and the band feed off one another and no one minds being soaked to the skin. Blurs the irrelevant line between punk and country and highlights the Welsh wit that marries the personal with the political. Takes the punk chutzpah of Langford and meshes it with the garage savvy of the Sadies, busting out 12 tracks to rattle the cage of genre purists. Bawdy, exuberant and, at times, full of surprising pop smarts. A budget-priced EP that includes two enhanced video tracks recorded live in Chicago. You can play them in your computer and actually SEE the love.